Giving back to communities is something which many BB companies do and this is certainly the case for the young people of the 135th Glasgow company. 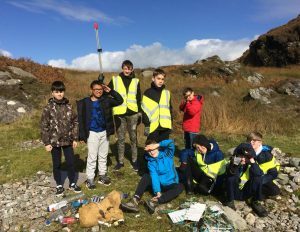 The Scotstoun-based group undertook a beach clean of the area around its camp site near Portavadie in Argyll over the weekend of 22nd/23rd September. In partnership with local organisations, the BB members and leaders used litter pickers, gloves and other equipment to tackle pollution on our beautiful coastline. "At this session's camp we wanted to look at challenges facing communities around our coasts and identify our role in creating and combating these issues. 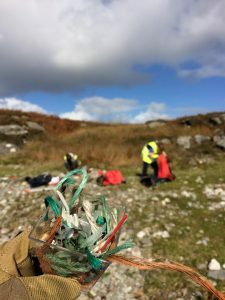 Coast waste, specifically long life plastics, is the most obvious of those subjects so, this year we have volunteered to take part in the Argyll Secret Coast clean-up which also ties in with Zero Waste Scotland’s ‘action on plastics’ campaign week. What the group discovered was certainly surprising. Within the three small bays around the campsite they recovered eight black bin bags worth of discarded items including cans, bottles, fishing rope, straws, toys and lots more. The most startling thing they discovered was the sheer volume of micro, or small, population that lives between the pebbles on the beach. The initiative is something which the company would also like to look at closer to home to see how they can reduce the amount of plastic usage in a more urban setting. The company has pledged to stop selling plastic bottles at their weekly meeting nights and instead have brought in reusable ones free-of-charge for the young people. "The guys in the company did a fantastic job and I'm really proud of them all. We are keen that we continue to look at this important issue and see what we as a BB company, but also as individuals can do to reduce our use of plastics." Figures from the Marine Conservation Society's 2017 Beach Clean initiative showed that around the UK on average 718 pieces of rubbish for every 100m stretch of beach cleaned, which represents a 10% rise compared with the previous year. Litter from foods and drinks, usually used just once and thrown away, made up at least 20% of all of the rubbish we picked up. 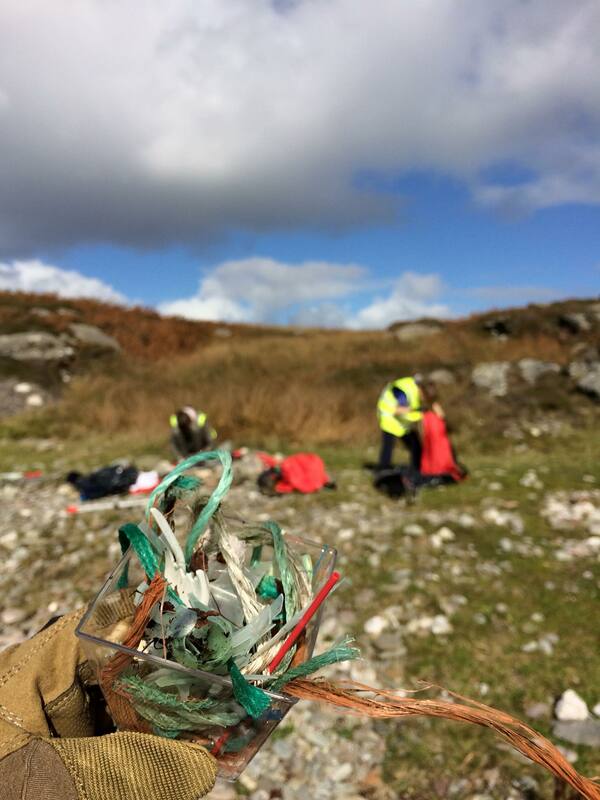 138 pieces of “on the go” litter were found, on average, for every 100m of beach surveyed. You can find out more about the 135th Glasgow company by visiting its facebook page.